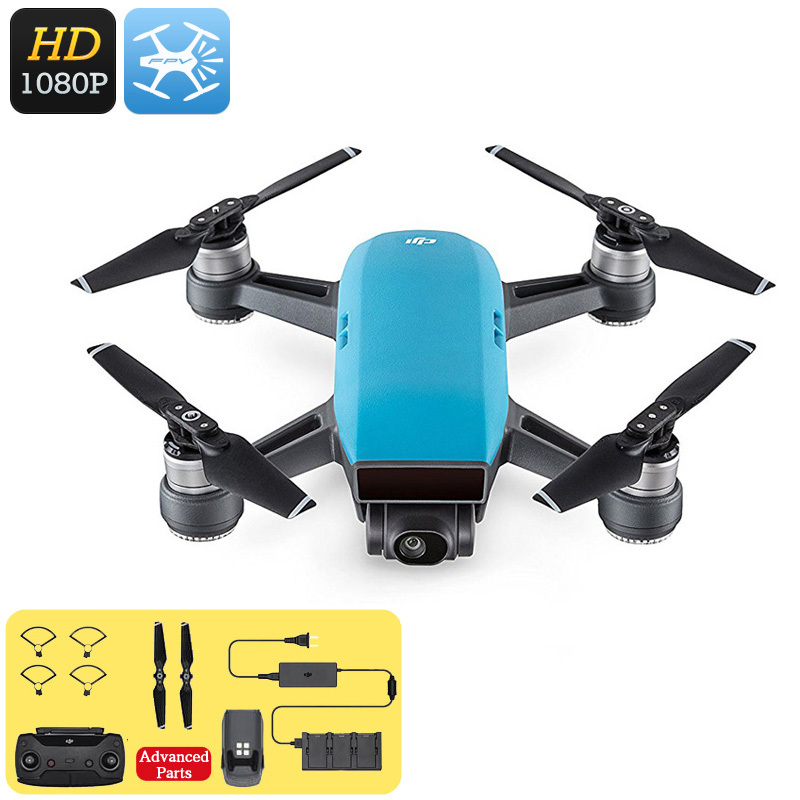 Successfully Added DJI Spark Mini Drone - 1080P Camera, 12MP CMOS, 3D Sensor System, WiFi, FPV, 50KM/h, Gesture Mode, Auto Take-Off And Landing to your Shopping Cart. The DJI Spark is an epic mini drone that lets you conquer the skies in style. This RC drone has been manufactured by the world’s leading and most trusted producer of commercial drones: DJI. It features a remarkably light weight design and has a compact body. Thanks to this, you’ll be able to easily carry it along anywhere you go. Despite its compact size, this mini drone features some remarkably powerful hardware. Not only does it bring along countless in-flight features, it also comes equipped with a high-end 1080p camera. With this camera at your disposal, you’ll be able to shoot Full-HD video and stunning 12MP pictures. This is guaranteed to lift your photography experience to entirely new heights. Coming equipped with a 1/2.3-Inch CMOS sensor, your video drone is guaranteed to produce crisp films at any time. Along with its wide-angle lens, your mini drone is sure to capture all that lies ahead. The FHD camera of this video drone has been attached to a 2 axis gimbal. Thanks to this, you’ll be able to easily move it around and aim it at your point of interest. Together with the Quad-Copter’s 1480mAh battery, it treats you to 16 minutes of continuous flight time. Supporting WiFi connectivity, the DJI Spark lets you synchronize itself with your iOS or Android phone. Once done so, you’ll be able to instantly share and access recorded footage via the dedicated mobile application. Additionally, your video drone can be used with FPV goggles to even further increase your in-flight experience. Featuring a 100m range and 50KM/h flight speeds, this drone lets you fly through the skies and discover your surroundings in no time. This version of the DJI Spark comse with an advanced remote control that lets you navigate through the skies like a true pro pilot. Within its compact body, this DJI video drone packs a powerful engine. This piece of equipment lets you fly and ascent at remarkable speeds. Your RC drone furthermore supports automatic landing and take-off. This makes it easy to control and allows even beginning drone pilots to navigate it safely. Thanks to its 3D sensing technology, this DJI drone will never bump into an object – taking away all risks of accidentally damaging it in flight. By supporting 3-meter gesture sensing and different photography modes, your DJI Quad-Copter is sure to meet your artistic needs. The DJI Spark Mini Drone comes with a 12 months warranty, brought to you by the leader in electronic devices as well as wholesale RC Drones..